The NEUE HÖHE is unlike any other hotel. 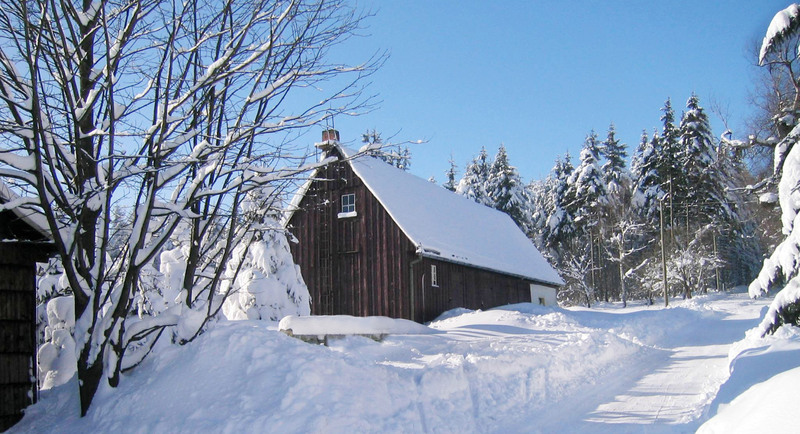 It is located, near Dresden, on an elevation of the Eastern Ore Mountains with a beautiful panorama. There are a just few houses, narrow streets and cats occasionally crossing the road. Time is standing still. Forests, meadows and fields entwine around the renovated farmstead from the 19th century giving it something incomparable. The beauty of nature. It determines the timing and brings the guest in harmony with the elements. Those who come here leave their everyday-life behind, become light and free. Living in a country house, eating well in the rustic-style restaurant or on the panoramic terrace. Fresh food from our region is served to your table. Celebrate in small and big circles. Sustainable days in the “hayloft”. Letting your thoughts fly. Relax while hiking, in the bio-sauna or in the NEUE HÖHE RETREAT with yoga and therapeutic regeneration offers. The NEUE HÖHE has many facets. It is feels more like a home than a hotel. Above all, it is a home in nature. We lead it with passion and dedication and invite you to experience it on your own. OUR HOTEL IS ONE OF THE TOP "VALUED" HOTELS IN 2016! Open the window. Enjoy the fresh air and the nature that radiates into your new comfort room. A total of 35 spacious rooms in a well-kept modern or country house style will make this easy for you. Lots of wood, lots of light and soft colours. Enjoy the NEUE HÖHE ambience. Bath / shower, toilet, hairdryer, TV, telephone, soft drink, garden or panoramic views, some with balcony. All prices per night / person include VAT. 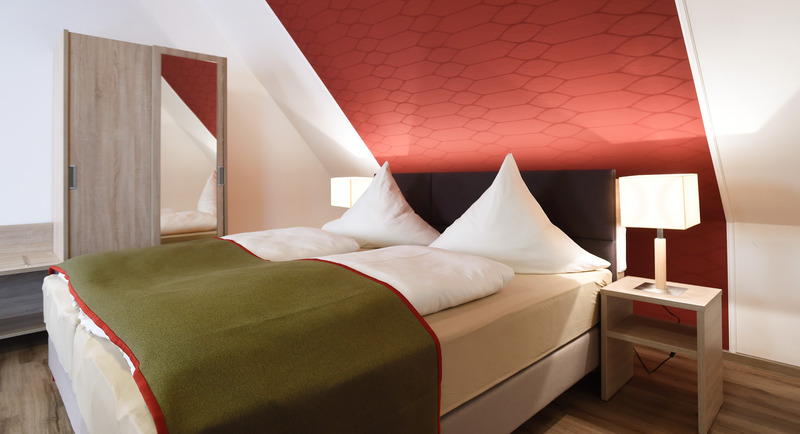 Modern and stylishly designed rooms in warm colors await our hotel guests and seminar participants in the NEUE HÖHE RETREAT. Bath / shower, toilet, hair dryer, TV, telephone, refreshment drink, garden or panoramic view. 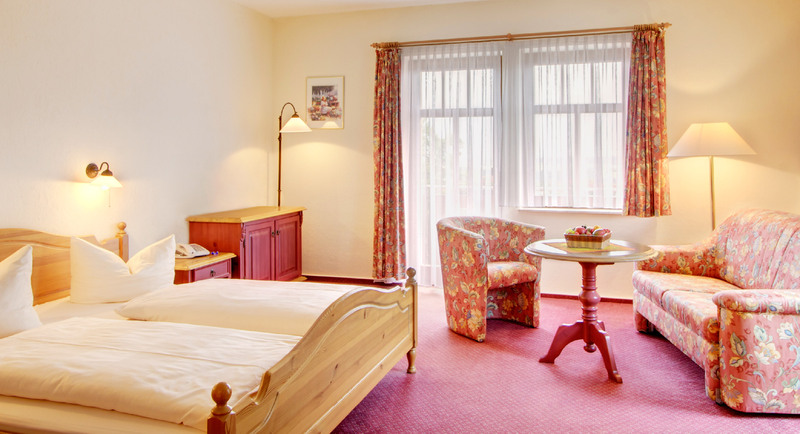 Breakfast buffet, refreshment drink in the room, free Wi-Fi in the house, parking possibilities – there is a large parking just in front of the hotel. Click here to go directly to our online booking. All prices per day / person include VAT! Experience the beautiful landscape of the Erzgebirge during the day and visit cities with a great history such as Dresden or Meissen. We await you in the evening to a freshly prepared regional 3-course-menu from our gourmet kitchen to which we serve a glass of delicious wine from Meissen. We are also happy to consider your own ideas and arrange an individual offer, supporting you in your tour planning. Please ask for your individual journey. More information about our current arrangements will be published soon. WOCHENKURZTRIP – SHORT TRIP – 2 nights from 99, – € per person. WOCHENSPECIAL – WEEKLY SPECIAL – 4 nights from 229, – € per person. If you have questions, please contact us personally. until two days before arrival. until 14 days before arrival. until 30 days before arrival. Its location is unique. Amazing views over smooth hills of the Erzgebirge, Tharandt’s forest. The Klingenberg barrage is nearby and Dresden is only a stone’s throw away. On the hilltop of this magnificent landscape we have undergone a gentle change to our hotel “Zur Neuklingenberger Höhe”. It is now more modern, more sustainable and younger than before. A new generation shows a new profile. The name is already program: NEUE HÖHE. Reduction to the simple, concentration on the essentials. The fabulous panoramic view. The good spirit of the old carter pub. Feel-good atmosphere, feel-good architecture, cultivated hospitality. For people who like being in the countryside, who love to eat and sleep well, who are looking for kindness and warmth, space and peace. And not to forget: All the beautiful parties that are celebrated here – in small as well as in big circles; weddings, anniversaries, family celebrations. 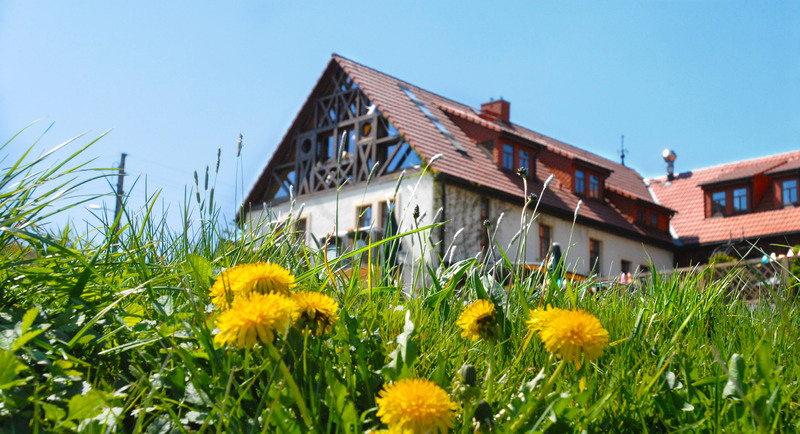 New thinking and acting now accompany our house into the future. We love the nature that surrounds us and actively involve it in our priorities. Nature provides us fresh, regional products for our gourmet kitchen. It is also a model for our rooms and facilities in which we used lots of wood and soft colors. Above all, it has encouraged us to create new possibilities for modern days and relaxation. Only 30 minutes away from the metropolis Dresden, we propose the bridge concept from a natural to a business hotel with our conference concept “NaturPlusBiz”. We pay attention to energy consumption and litter separation, reducing paper and relying on recycled products. In the GREEN MEETING standard we support the guidelines of “fairpflichtet” and are committed to more sustainability. We want to inspire and motivate. Spatial center is our “hayloft”. The bright panorama room with a capacity for up to 100 people has a fantastic distant view, allows thoughts to fly around and gives energy. Modern technology, healthy catering and a particularly prudent service complete the concept. It is even possible to go outdoors. Relax in the Retreat. That meant hiking in the forest, bio-sauna or massage. With new offerings from yoga to meditation and Ayurvedic treatments, we broaden the horizons and decelerate body, mind and soul – in harmony with nature. A separate house, the NEUE HÖHE RETREAT, was built face to face with the hotel. So the NEUE HÖHE is a place that is constantly changing, developing and maturing. A place that you can rediscover over and over again. The Neuklingenberg district is over 200 years old and lays 476 meters above the sea level. There often is a light breeze blowing around the 12 residential properties that have always existed here. Just like the Hotel NEUE HÖHE, you can also enjoy the unobstructed view over the valley of the Wild Weißeritz River – a fantastic view that reaches to the Elbe course near Dresden. And one with history. Two major trade routes once crossed the “Neuklingenberger Höhe”. One led from Freiberg to Dohna, the other from Bohemia to Meissen. J. F. Tauscher, the first owner of a carter company on today’s hotel premises, acquired the bargain in 1808 with a good reason. Carters always looked for a hostel on their strenuous journeys to rest and strengthen themselves which, for Tauscher, quickly became a lucrative business. In 1821,Tauscher was followed by a certain Schubert, who incidentally was a Saxon lottery entrepreneur. The new owner poured beer in clay bottles and offered more than 40 different schnapps from his own production. A clay bottle from that time is still standing at the counter of the NEUE HÖHE. On March 26, 1907, a large fire burned the property to ruins. Within a year, it was rebuilt as a stately Three-Sided-Farmyard. When the Klingenberg barrage was built from 1908 to 1914 and many foreign workers were employed there, the restaurant flourished like never before. Even a bowling alley has been set up. But the good time did not last long. Even in the thirties, the business went from bad to worse, until it ceased at the end of World War II. In 1945 and during the following years, the “Höhe” served as a Soviet commanding checkpoint, an emergency shelter for resettlers and as a temporary housing space for many families in the post-war period. 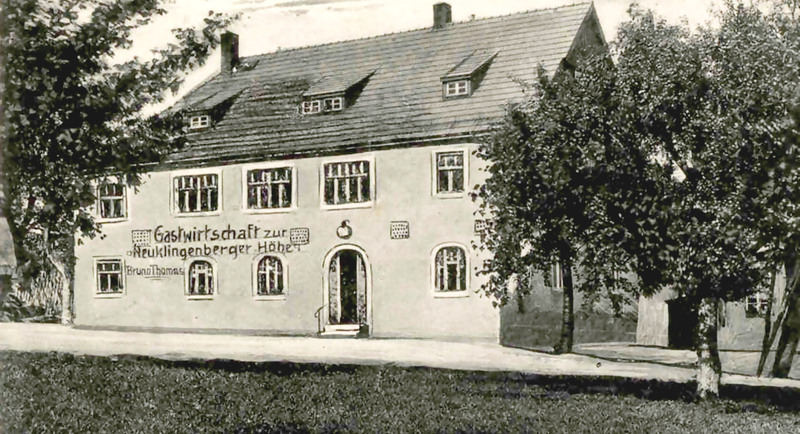 The agricultural operation of the Hesse family also came to a standstill and the courtyard and noticeably fell into ruin. In the mid-1990s, the last inhabitants left the traditional village. A place without a future? It seemed apparent. Speculators came on the scene. The Butze family, however, came before them. In 1995, they bought the collapsed Three-Sided-Farmyard. Their motif: The bond to their homeland. At the same time, Claus Butze did not just want to preserve a historical monument for Klingenberg. He also wanted to prevent foreign investors from establishing a resort without identity. And then there were still his own roots in the local gastronomy. Uncle Alfred, pub owner and a Klingenberg Original, had shown how it’s done. The challenges were still huge. In the end, the Butze family knew how to handle all risks successfully. Its effort was worthwhile. 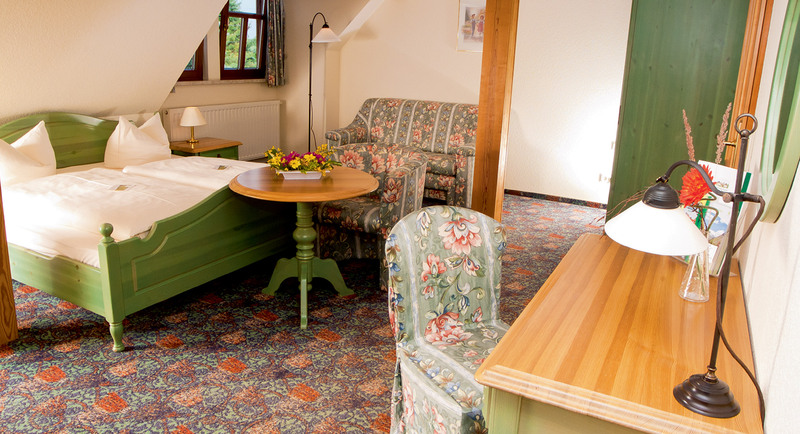 With much courage and committed employees, the hotel “Zur Neuklingenberger Höhe” was established faster than expected. It became the address for recreational guests from the metropolitan area of Dresden, for anniversaries and wedding parties, but also for seminars and conferences of companies from the region. Regine Butze has given the house a special atmosphere by creating her own lovely design of rooms and outdoor facilities. 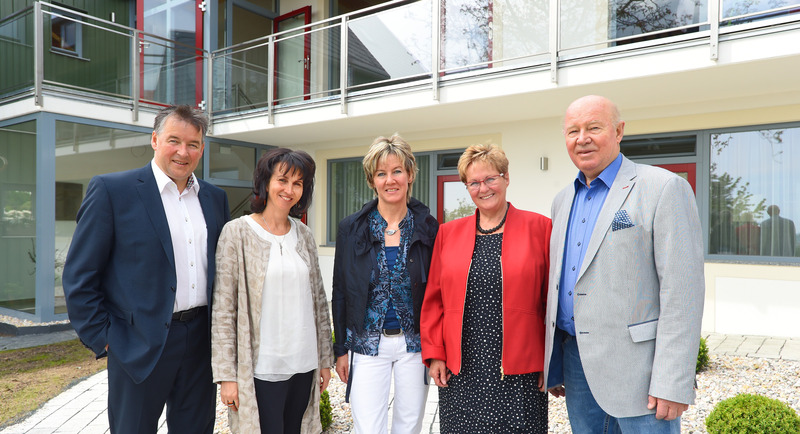 With the generational change and the handing over of the business to son Jan Butze and his wife Heike, the house has undergone a cautious change since 2015. Owners are Dr. Claus Butze, Jan Butze and Susan Nobs. The NEUE HÖHE is becoming more contemporary and more sustainable. As a nature and business hotel, it now concentrates on nature-related experiences, enjoyment and slowing down. A “green” conference concept and therapeutic regeneration offers expand the profile.